While HBO has beefed up its summer lineup to include stuff like True Detective and Ballers, the expectations over at the networks are often a whole lot lower. Although the summer sometimes yields diamonds in the rough—stuff like Wayward Pines, with unique premises and engaging performances. Unfortunately, CBS’ new summer series Zoo doesn’t look to be one of them. To be fair, Zoo does have an unusual premise. The drama is based on a book written by James Patterson and Michael Ledwidge, and follows animals that begin behaving strangely, hunting in packs and attacking humans. The first episode focuses on this trend occurring in lions. In the United States, two lions escape from a zoo and end up eating citizens in Los Angeles. Meanwhile, in Africa, a zoologist named Jackson Oz (James Wolk) and his friend and partner Abraham Kenyatta (Nonso Anozie) run into a group of male lions who are also looking to take down as many humans as possible. A plot featuring animals preying on humans seems as if it would offer plenty of gory escapism for watchers, but despite a few of these moments in the premiere, it’s all relatively tame. When there’s a lot of science or pseudo science involved in a series, there are a plenty of awkward moments when the sharp, in-the-know people have to explain what is going on for the story to make sense. In this case, we get to hear about typical animal behavior, not to mention various hypotheses regarding why the animals might be attacking humans. Journalist Jamie Campbell (Kristen Connelly) believes it may have to do with the lion’s food source, but she’s quickly debunked by animal specialist Mitch Morgan (Billy Burke), who spends much of the episode spelling out how the animal's newfound behaviors are different than their old ones. To his credit, Burke is an underrated actor and manages to make the best of the role, but it’s still largely a thankless task to be the oddball character with the background knowledge. The good thing about a thriller like this is that once the science-y nonsense is explained, we should theoretically be getting to a high-octane action thriller in the same vein as CBS’ other summer drama Under the Dome. A few scenes where humans sought to escape lions on the savannah did happen to meet the criteria that Zoo seemed to be promising during its promos. Africa features a lot of open spaces, and Wolk’s Oz and tourist Chloe Tousignant (Nora Arnezeder) spend a lot of time running from vicious lions that corner them on high ground and stalk them in the tall grasses. So far, CBS only made the first episode of Zoo available, so it’s hard to tell if there will be more action as the series moves forward or if it will stick to telling rather than showing us why the animals are attacking. It’s a mystery that will eventually be solved, of course, but it remains to be seen whether or not viewers will stick around to get to the payoff. For now, Zoo is a fine enough summer program, but that’s not exactly incentive to tune in. On the bright side, Executive Producer Jeff Pinkner has already stated the creative team has worked out five seasons of the drama, so if Zoo does end up being a summer hit for the network, it’s nice to know that the series has already worked out where it wants to go. 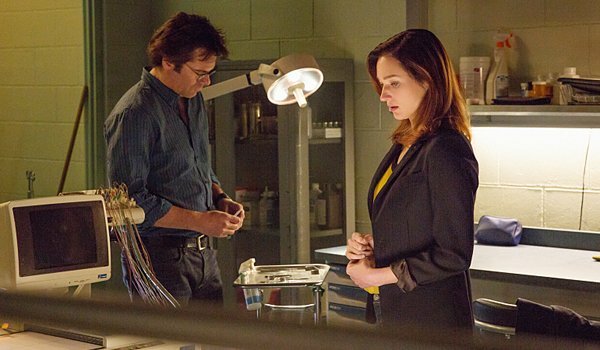 A lot of shows can sputter out or have to retool after the first season, but Zoo seems to know what it is and where it is going, at least. You can catch CBS’ brand new drama when it hits the schedule on Tuesday, July 30 at 9 p.m. ET. In the meantime, here’s what else is coming up this summer.